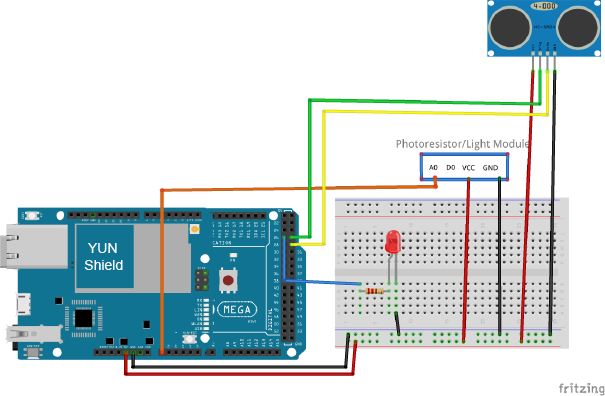 In this lesson, we will show how to use the Osoyoo Yun IoT Kit to make a simple night lamp, When someone passes at night, the light will be lit. We connect the LED to D26. 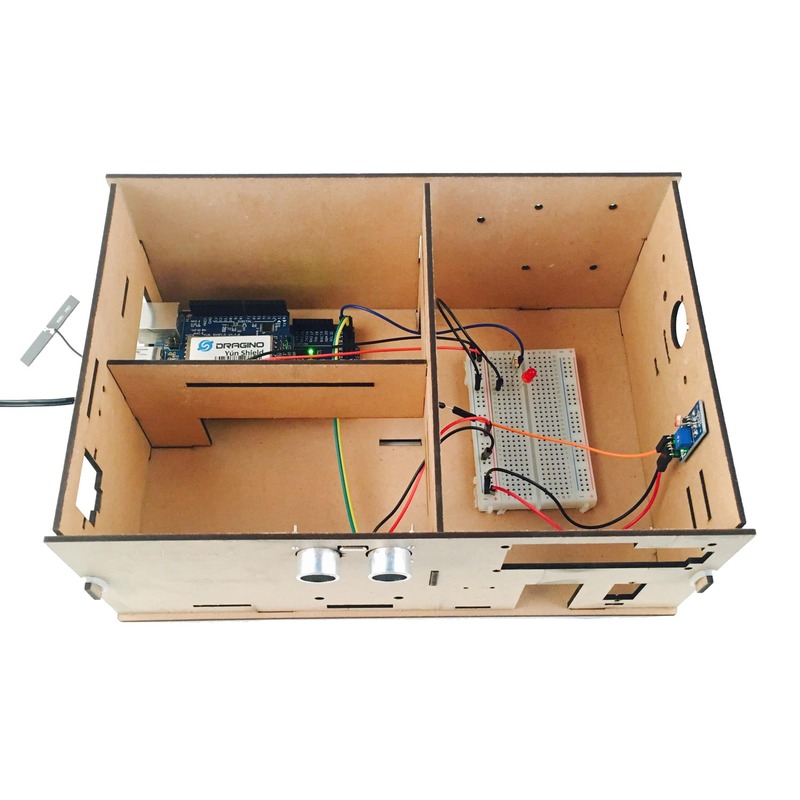 Open the Serial Monitor, with one hand covering the photosensitive sensor and simulating the night, while the other hand is slowly approaching the ultrasonic module, you will find that the LED will be lit.